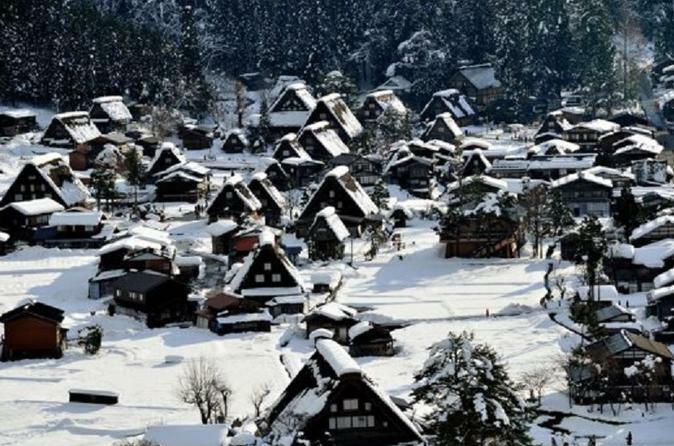 Take in the traditional architecture of World Heritage–listed Shirakawago and its renowned farmhouses during this day trip from Osaka. Hop aboard a comfortable coach for the 4- to 5-hour drive, which includes a boxed lunch and several stretch breaks along the way. On arrival at your destination, you’ll have free time to spend walking and shopping in the charming village. Minimum numbers apply. There is a possibility of cancellation after confirmation if there are not enough passengers to meet requirements. In the event of this occurring, you will be contacted 4 days prior to your travel date and offered an alternative or full refund. A Japanese tour conductor may be accompanied with the tour for Japanese customers. Another English or Chinese speaking tour conductor or staff will accompanied with the tour. The accompanied staff will gives you a basic information in English or Chinese, however, she doesn't give you a detailed information of visiting places.